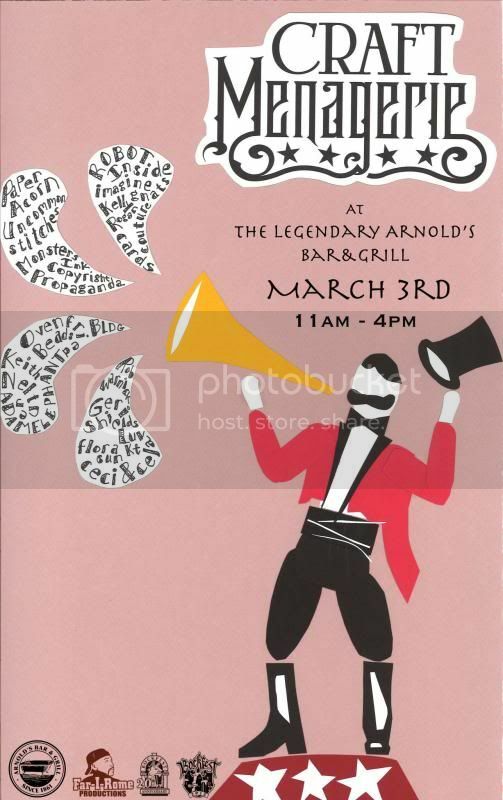 I'll be setting up shop at Craft Menagerie taking place at Arnold's Bar & Grill on Saturday, March 3, 2012. Arnold's is located at 210 East Eighth Street, Cincinnati, OH. The craft show will be from 11am-4pm. My table should be right inside the front door. Stop in and say hi if you can! There will some amazing artists there.